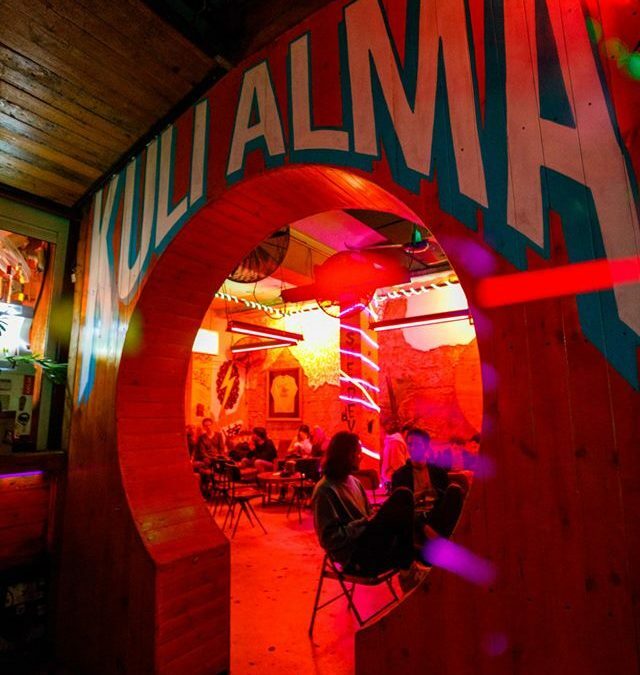 Creativity, that is the name of the game in Kuli Alma. 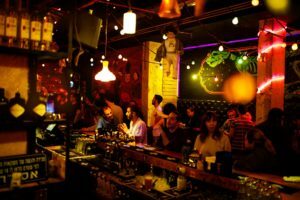 It’s walls are covered with different graffiti paintings and glowing neon lights light up the place in bright colors as the DJ plays some of the coolest tracks in Tel Aviv. 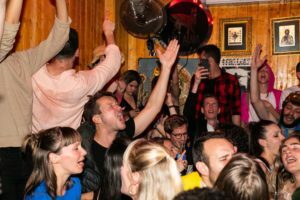 The Kuli Alma (Aramaic for the entire world), offers a real alternative vibe and the crowed that sets foot in the place is one of the most diverse in the city. Besides offering a verity of original slushy drinks and delicious homemade pizza, the Kuli is a real hot spot for art lovers as one of the rooms is an actual gallery that hosts changing exhibitions from young local artists. The music line changes every night and ranges from classic hip hop music to the newest electro tracks. The highlight of the place is a small (really small) room that serves as a shop where they sell branded merchandise and play 70’s, 80’s and 90’s classics. 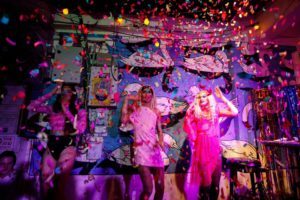 Last thing, once a month, they have a drag night with colorful shows and people and it’s definitely a must experience.